It finally feels like fall where we live. 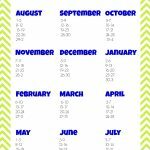 A couple week ago the kids and I spent a fun week learning about all things fall. 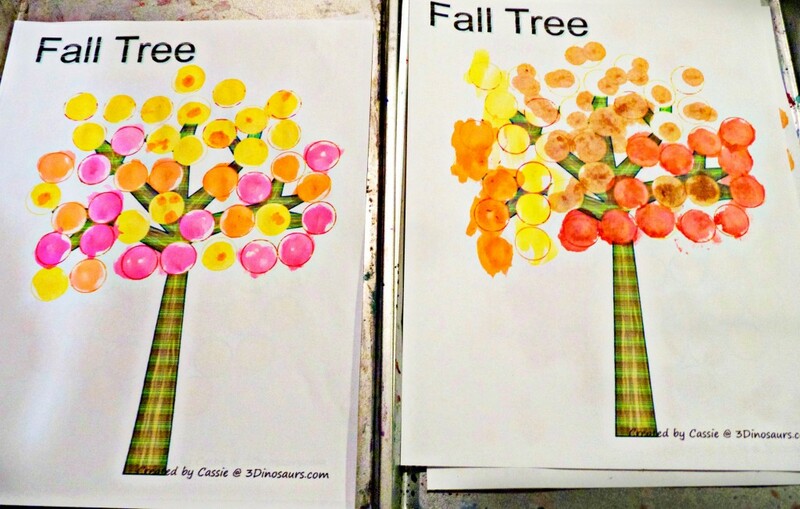 The kids had fun with these fall dot pages from 3 Dinosaurs. She offers tons of different fall pages to choose from. I honestly didn’t know how this project would go, but I think they ended up pretty cute. 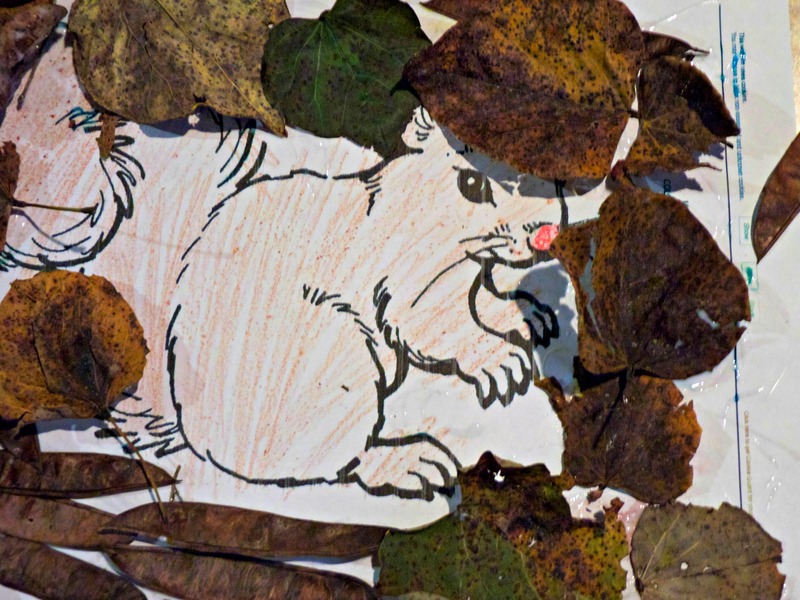 I downloaded a squirrel picture and the kids colored them. Then they glued fall leaves all around him like he was hiding in a leaf pile. 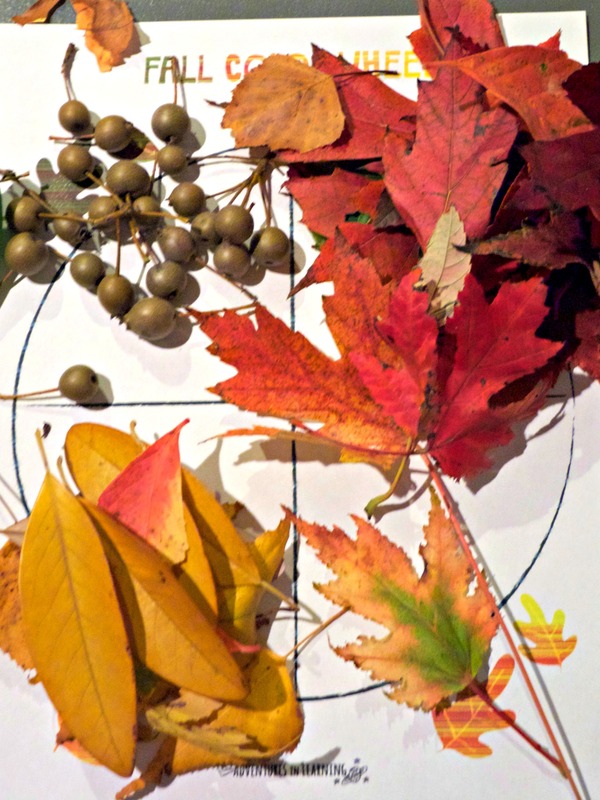 I printed out a fall color wheel from PBS. When we went on our fall scavenger hunt we collected different fall items we found on the ground. Then once we were home the kids sorted the different colors on the color wheel. 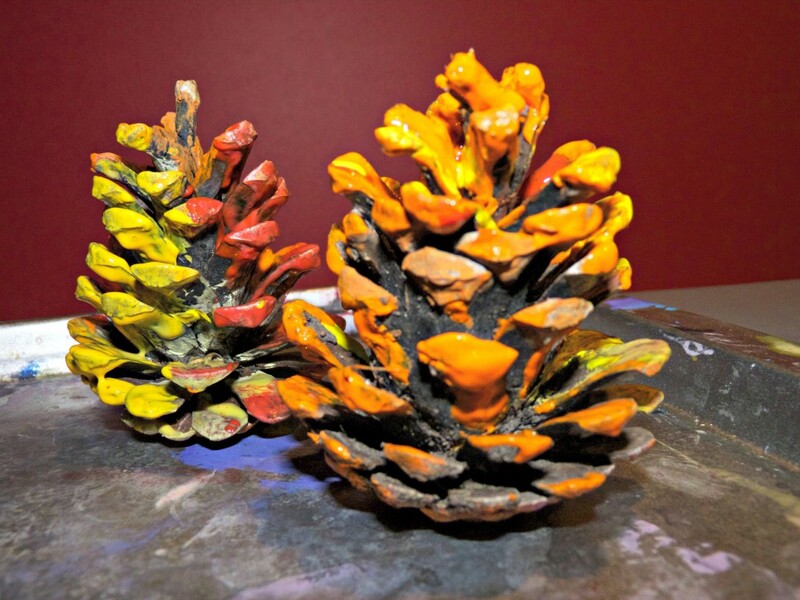 My kids used fall colored paint to decorate pinecones we found on our walk. This was one of their favorite activities of the week. They even asked to tie yarn around them and hang them on our tree out back. 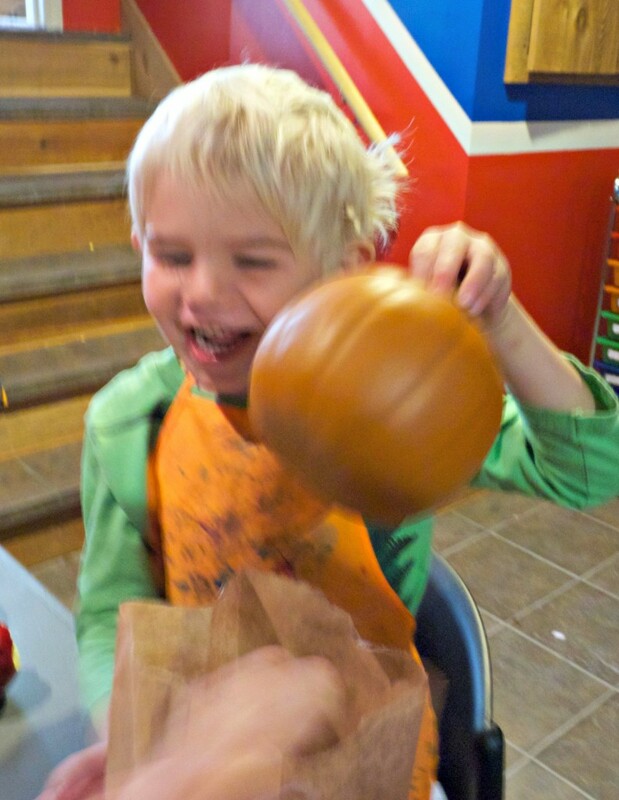 Big Boy had so much fun discovering all the different fall textures using this super fun idea for fall touch bags from The Pleasantest Thing. 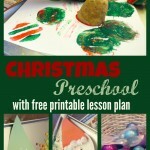 I think this activity would be great to use for all the seasons. 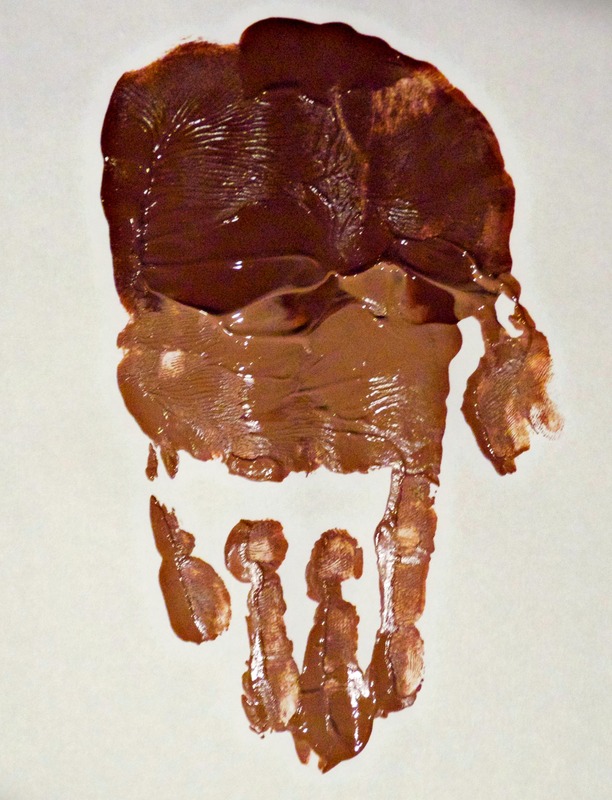 We planned to paint with acorns but didn’t find enough so we used these seeds we found to paint with instead. 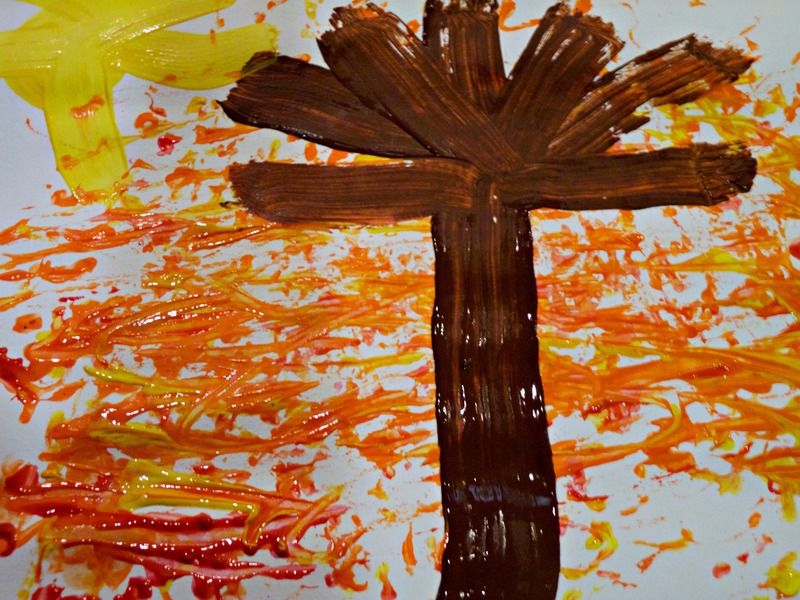 My daughter chose to paint a tree over the top of hers with the falling fall leaves in the background. 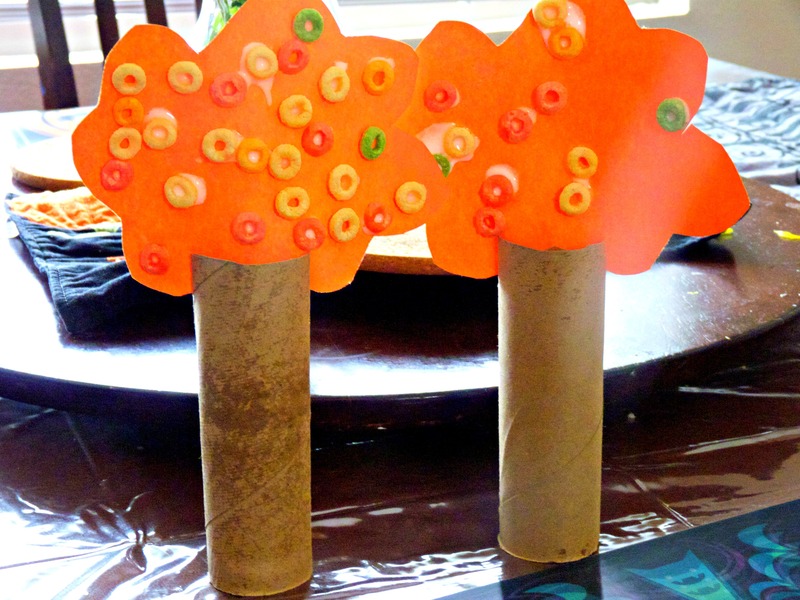 We made these cute paper towel fruit loop trees from Crafty Morning. 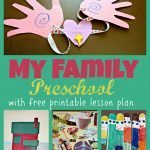 I painted the kids hands two different colors of brown and we stamped them on paper to make these cute acorn handprints. 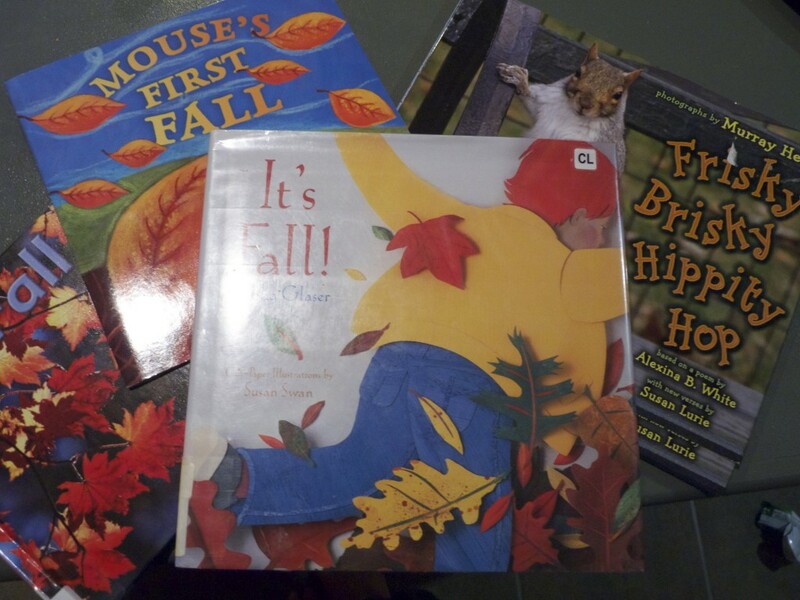 We also spent the week reading lots and lots of books about fall. Overall it was a great week and really helped get the kids excited for fall. 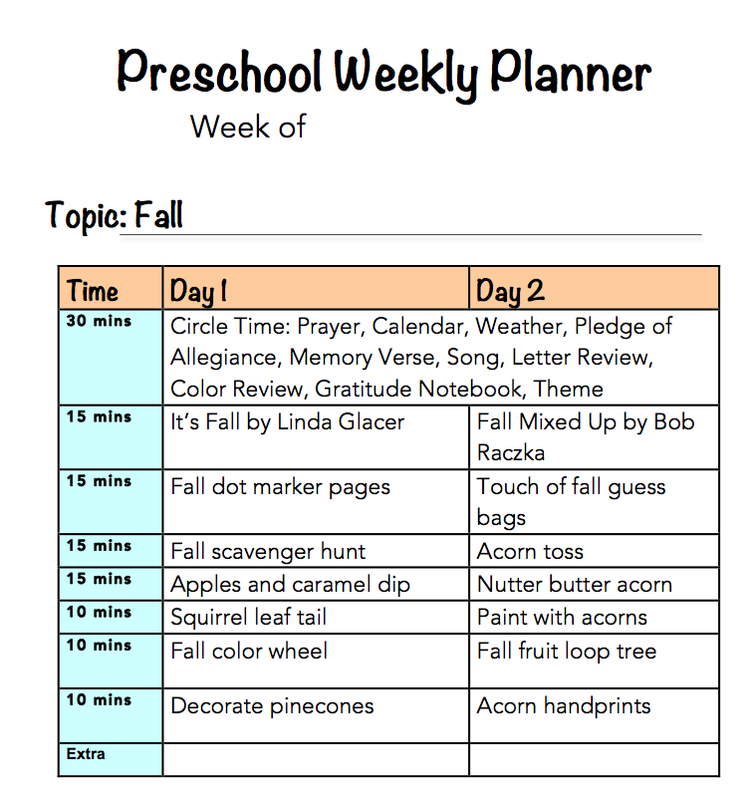 Want to use our fall week preschool lesson plan? Please click the text below to download a free copy. Enjoy! 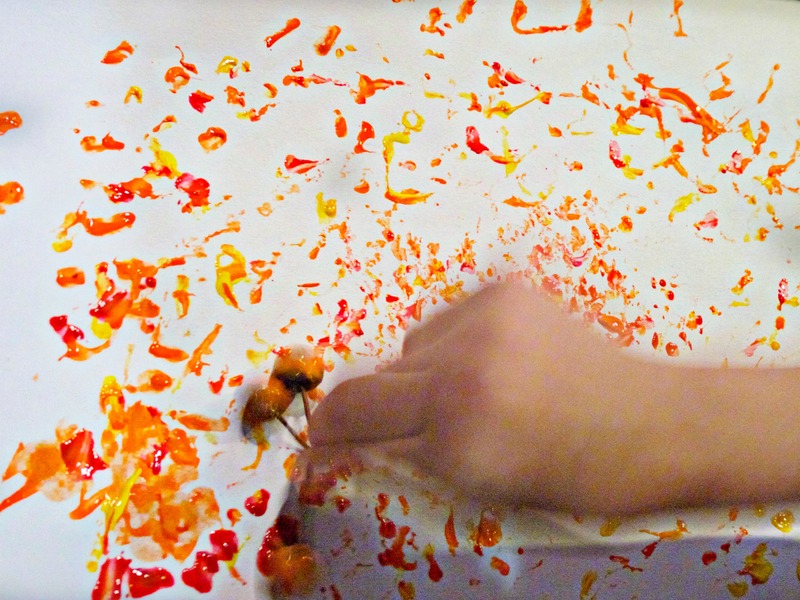 What’s your favorite fall craft or activity? I would love to hear. Please comment and share! 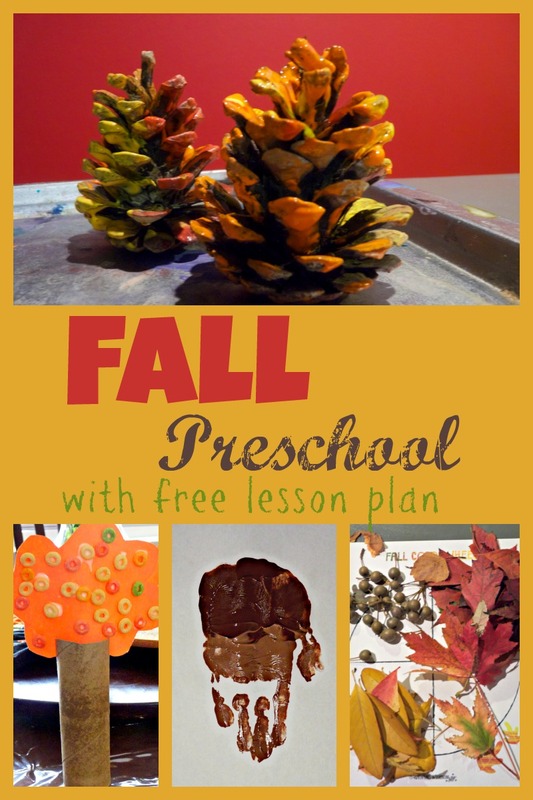 Follow Julie Anne@More Excellent Me’s board Fall Preschool Theme on Pinterest.